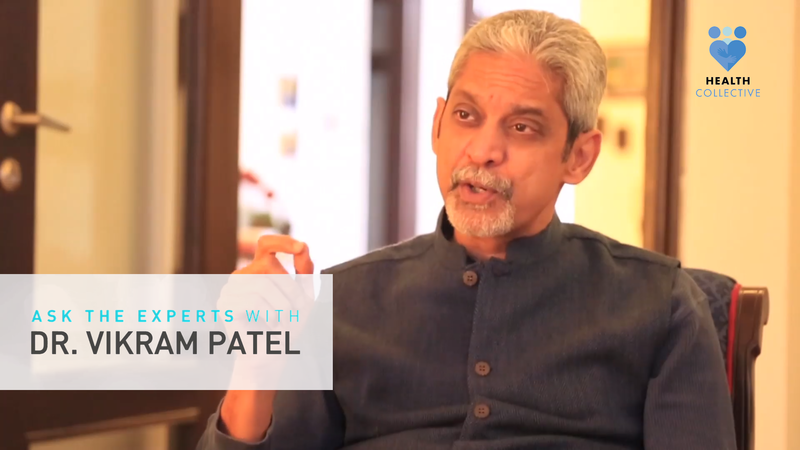 As part of our series, Ask the Experts, The Health Collective is delighted to share PART TWO of this interview with renowned psychiatrist Dr Vikram Patel, the Co-Founder, Sangath. Amrita: Dr Patel, just to pick up a little bit from what we’re talking about in terms of the lack of trained resources, the work you’re doing with your organisations is showing that it’s imperative to have community participation and intervention, can you take us through what you were saying about Indian attitudes to psychotherapy and how you’re seeing trained resources there. Dr Patel: Sure, you know earlier I had mentioned the National Mental Health Survey of India reported that only about 10% of Indians with a mental disorder in the last 12 months had sought or received help. But actually if I ask the question, what proportion of Indians had received psychological therapies, which are amongst the most effective of all medical interventions for any health condition, psychological and social interventions for mental, substance use disorders, the figure would be 100% have not received, with the small exception of very affluent, urban folks who are able to pay for private psychotherapy, the vast overwhelming majority of Indians do not have access to these therapies. That is because many people assume Indians don’t like talking therapies, they prefer pills. I’ve heard doctors say when a patient comes to my clinic, they want a pill, they want an injection. Well, our experience has been exactly the opposite, our work has largely focused on challenging the myth that Indians don’t like talking therapies. 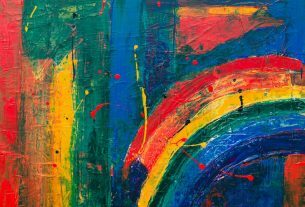 We now have shown time and again that very high proportions of those who are offered psychotherapies engage with them and complete the treatment. We also challenge the myth that psychological therapies require extremely expensive, highly trained, people to deliver it. Our work has shown that you can use lay people in the community, we can train them, and with adequate training and supervision, they can effectively deliver scientifically sound psychological intervention with very large clinical economic and social benefits to those who are affected by a range of conditions, ranging from autism to drinking problems, depression, psychosis etc. Can you give us a few examples even anecdotally of the work you’ve been doing? Sure, one of the more recent programs of work that I’m really excited about is our demonstration that in about a 6-8 session psychotherapy delivered over 2-3 months based on the psychological theory of behaviour activation — that is to say, to get someone to actually engage with rewarding and pleasurable activities — is a very effective treatment for severe depression when delivered by lay people in routine primary health care settings. I’m also excited that this particular treatment that we call The Health Activity program is now being tried out in Nepal, Uganda, Zambia. It’s also being tested in other parts of India, and so could be genuinely be an innovation that’s developed in India and has value and application in many other parts of the world. Very pleased about that. We’ve done similar work on drinking problems, producing 2-4 session treatment for harmful drinking called the Counselling for Alcohol Problems, and a particular area of work that I’m currently engaged in? Is to develop digital training intervention and supervision interventions to scale up these psychological therapies. Imagine for example, that a few years from now, anyone who wanted to learn these therapies, all they had to do is to go online, access our training program, complete it, complete the online supervision, and then be equipped with the skills to deliver this intervention in their community. And you’re seeing this success cases, when they go out, and interventions? Well that would be a success story, yes. At the moment, the success is that we’ve designed this intervention and shown it works in a clinical trial, and are now engaged in scaling it up. That’s incredible. I want to ask you a little bit about … I mean our attempt is to be a safe space for conversations, and completely take your point that you are talking to people of incredible amount of privilege when you are talking to largely urban audiences, you’ve brought in the need to involve the community. We do see — and I want to ask you about the work that It’s Ok to Talk is doing — because we do see with younger people more of an openness to discuss some of the issues, and how they can make a change. Can you take us through any insights? I’m glad you brought up It’s Ok to Talk – that’s a website, actually, and the name tells you what it’s all about… it’s about encouraging young people in particular to disclose their own experience of mental health and mental health problems, and the idea is that through disclosure, much the same way with celebrity disclosure, but ordinary young people, that we will challenge some of the stigma and the shame around mental health and mental health problems. It’s part of a larger initiative of engaging young people — we’re also using other methods like theatre, film, other kinds of media interactions, and this in itself is part of a bigger program, where we are developing a psychological program for students in secondary schools in Delhi and Goa…that includes a very strong component of self care as well as an app-based delivery of psychological therapy for young people with anxiety or mood or behavioural problems. To come back to the need to talk about things and help erase the stigma in that way, you’ve shared your story, part of your story, on the site, talking about your mother being one of the 40 million Indians who suffered depression. It was so interesting — and thank you for sharing that, I think it was a very powerful account — coming back to the fact that most people don’t get treatment, you say, there’s no X ray or blood test to determine depression, can you take us through a little bit of of your personal story and how it resonates with other people? Yeah, you know it’s one of the reasons I believe that one of the most important reasons that mental health problems are often missed, is because they are hidden. And what is hidden will obviously be harder to find. There is no blood test, there is no objective, pathological sign that you have a mental health problem, and certainly not one that is of commercially any value, and so there is no commercial incentive either to doctors or to auxiliary service like a pathology lab to actually screen people for mental health problems. What you need to do is to ask people questions, you need to ask them a set of different questions that explore a set of mental health issues, and then assemble all that in order to arrive at an understanding about their mental health. This is too time-consuming, it’s too vague, there’s no money in it. And therefore to be honest, I”m being blunt, a lot of medical practice is driven solely by commercial value. If there is money in it, there will be more of that done. That’s why you have so many blood tests and X-rays. But this has no value in it, at the moment at least, therefore mental health problems go undetected. And if there’s anything to end on — was there anything cathartic for you in sharing that story? Has anyone come up to you after you shared that — it’s been 20 years of course and more that you’ve been talking about mental illness. 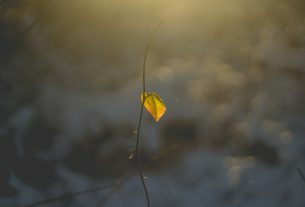 Is there anything you feel that sharing your own story personally that connects with others? I think sharing your own story always connects you with others. If I was giving a talk to students or a scientific audience, I would typically give a dry, science-based lecture, because that’s what I’m there for. But if I’m talking to a general audience, a community, to invoke my own personal story connects me to people. It connects my story with theirs. And of course because I can also bring in the expertise as a psychiatrist, as a researcher, that also adds value. Certainly with my mother’s story, perhaps the most telling lesson for me was that I myself missed my mother’s depression for many years. It was when her diabetic doctor pointed out, hey Vikram, you’re a psychiatrist, can’t you see that your mother’s diabetes is out of control because she’s depressed. It was only then that I paused and did a clinical interview with her and discovered my goodness, my mum was very severely depressed. So again, going back to the point, it’s so well-hidden from view, that even someone like myself who is fully trained as a mental health professional, couldn’t see it in my own mother. Dr Patel, to ask you, if there were two or three things you wished everyone in India to know about mental illness what would that be? First of all, mental health is not just the absence of mental illness. Secondly, that each and every one of us has a very unique life story that determines our mental health. That life story is a product of our genetic inheritance and of the social environments that we’ve experienced, particularly in the early years of our life, from very early childhood to young adulthood. The implication of this is that for all of us in society who are concerned with mental health, our primary emphasis for prevention and promotion must be the early years to ensure that environments for young children, whether at home or schools or in communities, are nurturing, because this is the most powerful prevention that we can actually ensure the healthy development of the brain, and thus mental health in adulthood. And finally, that the best guardian of your own mental health is yourself. 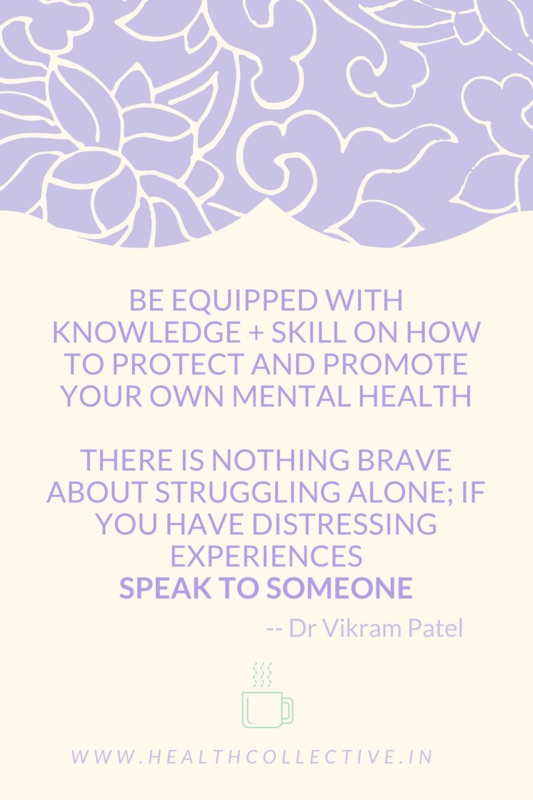 Be equipped with knowledge and skill on how to protect and promote your own mental health, but equally remember that there is nothing brave about struggling alone, and if you have got mental health experiences that are very distressing, speak to someone. It could be a friend, it could be a family member, a counsellor, it could be a mental health professional. But don’t just lock it up inside yourself. Amrita: Thank you so much.